Child of Vengeance is David Kirk’s debut novel, published by Simon and Schuster. Bennosuke is just an infant when his Mother died and his Samurai father left him, expecting his brother to care for the boy. As he approaches his teens he is torn between the sensible decision to join the priesthood or to follow in his father’s footsteps, to become Samurai. The local people all shun him due to a disfiguring rash on his face and he believes becoming a warrior may be his route to gain respect for both himself and his family. As he approaches his teens Bennosuke’s father returns after years of no contact at all, and the young man learns of life-shattering truths that have been hidden from him. His Samurai father is not the man he thought he was and any love he held turns to rage and hate. Instead of attacking his father or letting his emotions eat him up inside, Bennosuke lets his father train him to become the best Samurai he could be, just so one day he may exact full revenge upon the man he hates most. The more time they spend together, the more Bennosuke begrudgingly becomes to respect his father. When the young boy commits a sin against a Lord, his father knows that there is only one thing he can do for his son and the outcome changes Bennosuke forever, setting him on a violent path for revenge. First off, I should probably say that this isn’t my normal style of reading choice. Historical action is just one of those genres that never seemed to grab me but after hearing a certain publicist being so incredibly taken with it, I had to give it a go…and I’m glad I did. Samurai culture is something I knew very little about and this novel introduces you to the beliefs and customs in an enjoyable yet informative way. Bennosuke is a great lead character, damaged yet likeable, young but having to grow up quickly. 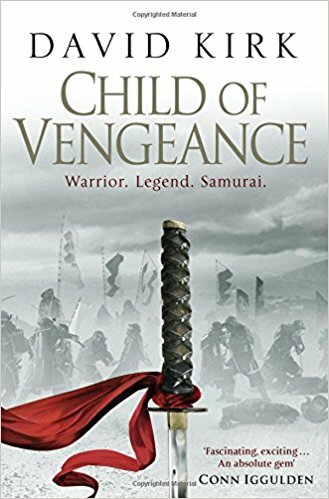 His constant battle between spiritualism and his want to be a warrior drives him on and his struggle grows later as he battles between Samurai conduct and his want for revenge. The thing that made this novel for me personally was the culture and customs, which may be why I found the ‘big fight’ ending not quite as enjoyable as the rest of the novel. The action is well paced and I am sure it will be many people’s favourite part but I guess I came at this novel from a different viewpoint. Overall it was a great fun read and has taught me quite a lot about a fascinating culture. If historical fiction is your genre, then I would highly recommend this.